RHO (Restorasi Habitat Orangutan, which translates as Orangutan Habitat Restoration) is an independent organisation established by the Borneo Orangutan Survival (BOS) Foundation in 2009. 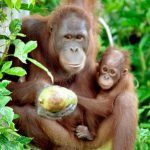 The sole purpose of the organisation is to provide a permanent safe, sufficient forest site for wild or semi-wild, and rehabilitated Bornean orangutans where they can live in freedom, and establish a new, viable wild population to bolster conservation of this endangered species. Orangutans must be reintroduced into an area with either no or a low (non-viable) population of existing wild orangutans (0.1 individual per square kilometre), within their historic range. The forest must be suitable lowland forest (up to 900 m-asl); unfortunately most remaining healthy forests in Indonesia now only exist in higher altitude areas due to land conversion and forest degradation. The forest must be secure; not in danger of imminent threats of conversion and as far away as possible from human settlements, yet accessible for the team to conduct the actual reintroduction and post-release monitoring. 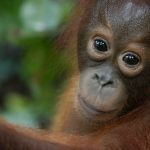 Subspecies appropriate locations – meaning East Kalimantan orangutans cannot be released in Central Kalimantan or other forests outside East Kalimantan. Central Kalimantan orangutans cannot be released in West Kalimantan, etc. To ensure this, the release candidates must also go through DNA tests to determine subspecies. Finding a suitable forest as habitat for orangutans has always been the biggest challenge. In reality, orangutan habitat restoration and rehabilitation are laborious and costly activities. Both RHOI and the BOS Foundation need to secure sufficient funds and more land, to ensure long-term success. To realise our vision for RHOI we required a business license for the Utilization of Forest Timber Products through Restoration of the Ecosystem (IUPHHK-RE), also known as an Ecosystem Restoration Concession (ERC). This process was required, due to the fact that since 2002 the BOS Foundation’s orangutan rehabilitation centers in Nyaru Menteng and Samboja Lestari had been unable to reintroduce orangutans into the wild due to the challenges of securing suitable and safe forest areas. 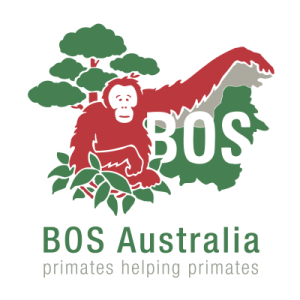 As a non-profit organisation, the BOS Foundation is not allowed to apply for this license, due to government regulations. Hence, RHOI was established. On 18 August 2010, RHOI was issued an ERC permit, giving them the authority to use and manage 86,450 hectares of rainforest and provide a sustainable and secure habitat for orangutans for at least 60 years, with the option of extending for another 35 years. Issued by the Ministry of Forestry, this ERC license cost around US$1.4 million, which was funded by generous donations from donors and BOS Foundation partners organisations in Europe, Australia and the USA. 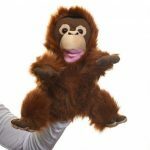 RHOI named this forest Kehje Sewen, which translates as ‘orangutan’ in the local Dayak Wehea dielect. By name and nature, the Kehje Sewen Forest became a forest for orangutans. RHOI is also currently in the process of applying for a concession license in Central Kalimantan to address occupancy challenges in the orangutan rehabilitation center in Nyaru Menteng, as well as a license to expand the Kehje Sewen Forest in order to meet the needs of our orangutan reintroduction program at Samboja Lestari in East Kalimantan. In addition to providing a home for orangutans, RHOI also undertakes general sustainable forest management activities such as restoration, rehabilitation, environmental management and long-term habitat protection. They also encourage and support local community involvement and empowerment through partnerships, forest education and training, research and development, and trading (goods and services for sustainable non-timber forest products) for domestic and international markets.These are all important steps for RHOI and the BOS Foundation in their commitment to creating a brighter future for orangutans and supporting worldwide efforts to combat the serious threats of global warming and climate change.